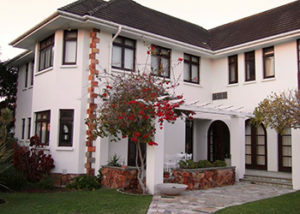 The Owl House Guest House is a 1940’s house located very centrally in Newton Park, Port Elizabeth. The Owl House Guest House – Port Elizabeth offers an enormous free living space with high ceilings and beautiful Oregon Pine floors. Aesthetically the house is unusual with interesting antique artefacts and gorgeous landscape photography of the local landscape by well-known photographer Tim Hopwood. The guest house offers 3 guest rooms with ultra-comfy beds and bedding. There are 2 shared bathrooms with bath and shower facilities available. There is a fully equipped, communal kitchen available for guests who require self-catering facilities. Dinners can be eaten in the relaxed lounge, the sociable kitchen or the gorgeous garden. The lounge is equipped with a TV with selected DStv channels. Braai facilities are available in our beautiful, peaceful garden. The Owl House is really great value for money, boasting a very central position close to shops, restaurants, the beach, the airport, hospitals and public transport. The area is very safe, and off~street lock~up parking is available on request. The Owl House is well situated for group bookings, business people, sports events, workshops, conventions, and equally for the individual traveller exploring the world and our beautiful coastline. Cherry Place is a guest house located in Port Elizabeth, known as the “Friendly City”, it is one of South Africa’s largest cities. Situated in the Eastern Cape, at the end of the Garden Route, it stretches along Algoa Bay and boasts one of the country’s major seaports. Visitors can expect blue-flag beaches, historic buildings, and an abundance of water sporting opportunities. Accommodation is available in 5 executive en-suite rooms, each containing a king-size bed, a flat-screen TV with selected DStv channels. Each room is also equipped with under carpet heating, overhead fans, tea- and coffee-making facilities, fridge, hairdryer and a desk. Free Wi-Fi access is also provided. Safe off-street parking is proved behind monitored security gates. An on-site duty manager is available 24-hrs a day. Manor 38 is situated in the seaside suburb of Summerstrand, Port Elizabeth and boasts exclusively designed executive and superior guest suites for the business traveller or tourist. The guesthouse is close to The Boardwalk Casino and popular beaches. The spacious guest suites feature comfortable beds, luxurious bedding, ceiling fans and flat-screen TV sets with DStv channels. All the rooms have en-suite bathrooms. Two of the larger executive suites offer Jacuzzi spa baths and multi-directional shower heads. The stylish and elegant luxury bedrooms open onto the pool area. Buttons Too is a free-standing house which is part of an upmarket establishment complex located in the suburb of Heuwelkruin in Despatch, a town between Uitenhage and Port Elizabeth. This is the ideal accommodation for larger families, groups of friends or sports folk who require a safe, economical place to stay, be it overnight or for longer. 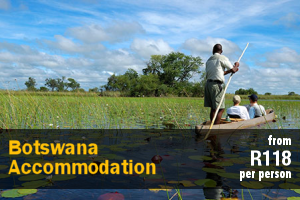 ALTHOUGH THE AD INDICATES A MAXIMUM OF 4 PERSONS CAN BE ACCOMMODATED WE CAN ACCOMMODATE TWO MORE AT AN ADDITIONAL CHARGE OF R150.00 PER PERSON PER NIGHT. The unit sleeps 6 guests in 2 bedrooms and the living area.The main bedroom has a queen-size bed. There is a three-quarter bed in the second bedroom and a single bed plus two sleeper couches in the lounge area. The kitchen is fully equipped for self-catering and features a built-in stove, extractor fan, microwave oven, fridge/freezer, kettle, toaster and all crockery, cutlery and cookware. The unit has a sliding door which opens directly onto the braai-area. The large open plan living area is fitted with a TV equipped with a full selection of DStv channels and Telkom landline facilities available. Free Wi-Fi. Buttons Too also offers safe, secure, off-street and under-cover parking. Buttons Won is an upmarket establishment that is located in Heuwelkruin, Despatch a town between Uitenhage and Port Elizabeth. Buttons Won sleeps 4 guests sharing and has a queen-size bed and a double bunk. Linen, towels and bathroom amenities are provided. There is a bathroom with a shower, basin and toilet. The bed/sitter is comfortable and there is a dining area seating 4. The kitchen is equipped with a kettle, microwave, toaster, 2-plate table-top stove, fridge, freezer, iron and ironing board, all cutlery, crockery and utensils, and a fully automatic, top-loader washing machine is available. There is also a TV with full DStv available. 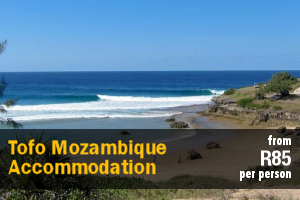 Other amenities include landline facilities charged at Telkom rates, Wi-Fi, air-conditioning, a hairdryer, clock radio and European plug adapters in the bedsitter. Washing powder, fabric softener and all cleaning requirements are provided as well as complimentary tea- and coffee-making facilities. Nearby activities include horse riding, fishing, the Big 5, wine tasting, cycling, game drives, game viewing, guided walks and swimming. 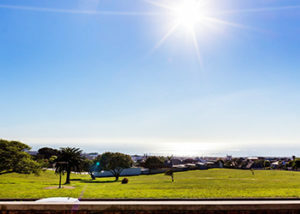 Seventeen on Sam is situated in the Western suburbs, in Framesby, Port Elizabeth, Nelson Mandela Bay and is situated near all major attractions. The apartment is booked as a unit per night, sleeping up to a maximum of 2 guests. 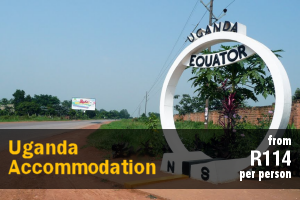 It is a fully-equipped one bedroom self-catering and self-service apartment. The apartment has a private entrance and comprises a bedroom with a king-size bed and a bathroom with a shower. Other facilities include free Wi-Fi, air-conditioning, heating, hairdryer, safe and LCD TV with full DStv in the bedroom. A work desk and chair is made available in the unit. The kitchen is fully equipped with a 2 plate gas hob, microwave oven, conventional oven, kettle, toaster, fridge/freezer combination, cooking utensils, pots/pans, crockery, cutlery and an eating counter with 2 chairs. There is also a 2 seater couch in the bedroom. The unit is not serviced during guests’ stay. Clean bedding, linen and towels are provided with each new guest(s) arrival. We do provide a limited quantity of cleaning materials and toiletries for each new guest’s arrival. Outside there is a braai facility and parking on site right in front of the entrance to the unit. They are pet-friendly by prior arrangement with dogs only. Seventeen on Sam is situated with easy access to all major attractions, shopping centres, restaurants, takeaways, sports stadium and more. 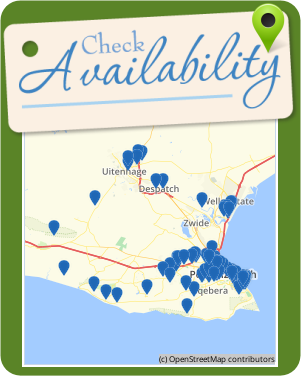 Cassia Self Catering is located in the leafy suburb of Sunridge Park in Port Elizabeth and within easy access to the N2-highway. This air-conditioned apartment can accommodate 2 adults and 2 children comfortably. The apartment comprises 1 bedroom and 1 bathroom. The bedroom is furnished with a double bed and the bathroom has a shower, basin, and toilet. 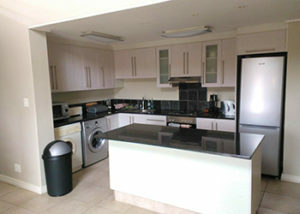 The kitchen contains a fridge-freezer, a microwave, a stove, an oven, crockery, and cutlery. The lounge has a double sleeper couch and a TV with DStv and Wi-Fi connection. The apartment is located within a radius of 10 km from Kragga Kamma Game Park, Greenacres shopping centre, Port Elizabeth Golf Club, Nelson Mandela Bay Stadium and just 800 m from Sunridge Village with a variety of shops and restaurants. Cassia Self Catering is also ideal for guests visiting the hospital. Corner Cottages is just 1 km from the Port Elizabeth Golf Club, and the area offers various activities such as diving, surfing, hiking and 4×4 trails, and attractions in the area include the Bird Island Lighthouse, The Jewish Pioneers Memorial Museum, and more. Madison on First is a two bedroom self-catering apartment situated in Walmer, Port Elizabeth, Nelson Mandela Bay in the Eastern Cape. It stretches 16 km along the Algoa Bay and is one of the major seaports in South Africa. The apartment comprises 2 bedrooms located on the second floor. The main bedroom features a queen-size bed with an en-suite bathroom fitted with a shower. The second bedroom features twin single beds. The second bathroom comes fitted with a bath. 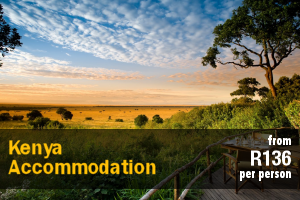 Other in-room facilities include an equipped kitchen, dining area, washer, clothes horse, lounge equipped with a TV and DStv and a private entrance. The apartment also comes equipped with a balcony, a gas braai and on-site parking behind a remote controlled gate. Clean bedding, linen and towels are provided with each new guest(s) arrival. We do provide a limited quantity of cleaning materials and toiletries for each new guest’s arrival. 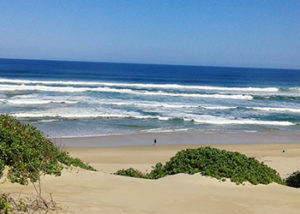 Angelsrest has a self-catering apartment and a self-catering cabin that is situated in Blue Horizon Bay, Port Elizabeth. Ideal for a couple or a small family looking for comfortable lodging close to the beach, and away from city life. Both the apartment and the cabin are fully furnished and comprises open-plan living. The bedroom area in the apartment is equipped with a queen-size bed and a double sleeper couch, which is ideal for 2 small children to sleep on. The cabin bedroom area is equipped with a queen-size bed. There is one bathroom in each, which contains a shower, basin, and toilet, that leads off the kitchenette which features tea- and coffee-making amenities, as well as a microwave and built-in cupboards with few other appliances. The units also include a TV with full DStv viewing, as well as braai facilities. Off-street parking is available for 2 vehicles per unit, and Angels Rest is within walking distance of the beach, and a 45-kilometre drive from the city centre. 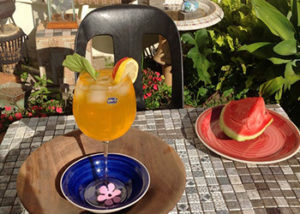 Little Rose is situated in the quiet suburb of Charlo in Port Elizabeth, it offers a variety of accommodation options that include a 2-bedroom house, a studio cottage, a 1-bedroom cottage, and 2 guest rooms. The Little Rose House features 2 bedrooms, a full bathroom, separate toilet, kitchen, dining area, and lounge. The main bedroom is furnished with a double bed while the second bedroom has 2 single beds that can be converted to a king-size bed on request. Linen and towels are supplied. The tastefully decorated living room contains a dining area, a lounge suite, and a sleeper couch. 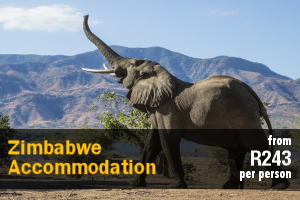 It is also equipped with a 32″ flat-screen TV with selected DStv channels and free Wi-Fi Internet access. The kitchen and scullery are fully equipped for self-catering, with ample cupboard space, a washing machine, fridge-freezer combination, oven, microwave, kettle, and toaster. Complimentary tea and coffee-making facilities are provided. 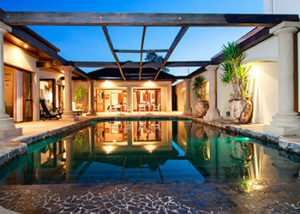 Outside, there is a large patio off the lounge and main bedroom with a 6-seater bench and a portable braai facility. The cottages can each accommodate up to 4 guests. Cottage 1 features a queen-size bed and bunk bed set while Cottage 2 has a queen-size bed in the bedroom and 2 single beds, as well as a sleeper couch, in the living area. Both units have an en-suite bathroom, kitchenette, and living area that has a TV with selected DStv channels and Wi-Fi Internet access. 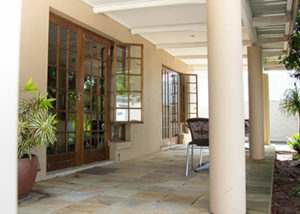 Outside, guests have access to patios with garden furniture and portable braai facilities. The 2 guest rooms are cozy and beautifully decorated rooms, each featuring an en-suite bathroom. Linen, towels, and bathroom amenities are supplied. Each room also features a bar fridge, microwave, toaster, kettle, and tea and coffee-making facilities. Other in-room amenities include a 32″ flat-screen TV with selected DStv channels and free Wi-Fi Internet access. Both rooms have their own entrance and patio with outdoor furniture. 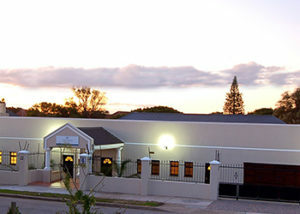 Little Rose is centrally located in the lush, quiet suburb of Charlo, Port Elizabeth. Only 7 km from the airport, a short distance from Walmer Park Shopping Centre, a wide variety of restaurants, various wedding venues in Seaview and Kragga Kamma, motorsport tracks such as Rover and the go-kart circuit and the breathtaking shores of Sardinia Bay. It is perfectly situated to ensure that guests have everything they need; whether guests stay is for recreation, sport or business purposes. Thunzi Bush Lodge is located in the tranquil sanctuary of coastal forest and African bush and offers country-style, self-catering accommodation 30 km from the centre of Port Elizabeth, at the beginning of the Garden Route. Accommodation comprises 6 charming, self-catering, wooden chalets which can accommodate up to 20 guests, each unit features an en-suite bathroom and a fully equipped kitchen. Guests have access to laundry facilities and the units are serviced daily. Guests can relax at the lazy-lizard swimming pool, experience the friendly staff, order one of the tasty picnic baskets and enjoy many other interesting activities. The lodge caters mainly for the traveller who enjoys a tranquil setting, forest and beach walks, bass fishing and bird watching. Walking trails around the lodge provide access to the dense indigenous coastal forest where many bird species and animals including, the Bushbuck, Blue Duiker and Vervet Monkeys, to name a few, can be spotted in the area. 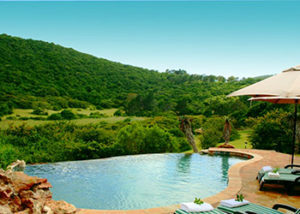 The lodge is located near the Addo Elephant Park and Shamwari Game Reserve where Africa’s Big 5 can be spotted. 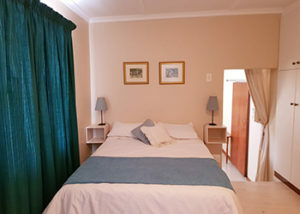 Eden Road Guest Suites is situated 2 km from the Port Elizabeth CBD and walking distance from Grey School and Collegiate Girls School, in the tranquil and tree lined suburb of Glendinningvale in the gracious heart of Port Elizabeth. Centrally situated for school and club sporting events. Eden Road Guest Suites offer you the ultimate in secluded, luxurious and private accommodation. Take your choice of 4 spacious and upmarket suites with en suite bathrooms, specifically tailored to suit both the business and leisure traveler. Each room is equipped with king/ queen size beds, FULL DSTV bouquet in each room and air conditioning. Free wi-fi in all rooms. Each room has its own set table, microwave, fridge, kettle and toaster. Secure parking with 24 hour CCTV monitoring, electric fencing and beams, to insure the safety of our guests. Eden Road Guest Suites’ central location places all businesses, industries, hospitals, shopping centres, sports venues and recreational amenities within a short drive. Brighton Mews Guest Suites offers affordable, quality family accommodation in 3 private self-catering units and it’s only 10 minutes’ drive from the Port Elizabeth airport. 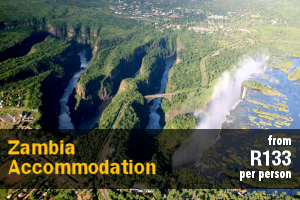 Accommodation is offered in 2 1-bedroom units and a studio unit. The 1-bedroom units contain a king-size bed or a queen-size bed, and an additional single bed, as well as a sleeper couch in the living area. Both 1-bedroom units have a fully equipped kitchen, storage room and private balcony. These units sleep 5 persons each but can be combined into a large 2-bedroom unit sleeping 10 persons. The studio unit contains a king-size bed, a full bathroom, a living area with a sleeper couch, a spacious work desk, a kitchenette area and thick opaque curtains. All units are fully fitted and equipped with facilities like a safe, DStv and free Wi-Fi. 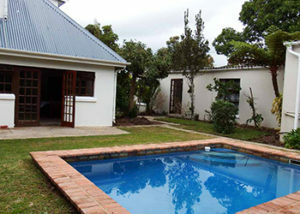 There are communal braai facilities and a swimming pool available for guests’ use. There is safe parking available on-site as well as an alarm for extra peace of mind. Please note that the units are cleaned weekly and not daily during long-term bookings. Port Elizabeth offers a diverse selection of attractions as a family-fun holiday destination. In addition to the beaches, Brighton Mews is located in proximity to nature trails, historic heritage sites, magnificent wildlife, cultural experiences and a variety of water sports activities. Pollock Beach, Radisson Hotel and the Summerstrand Village Shopping Centre are situated only 300 m from Brighton Mews. These establishments offer a variety of restaurants, coffee shops and other shops and services to visitors. All the Summerstrand campuses of the Nelson Mandela University are located within a 2 km radius of Brighton Mews. Pearson High School is less than 50 m away. Situated in Mount Croix, Port Elizabeth, Kirknewton offers guests comfortably furnished units that can accommodate up to 2 people each. 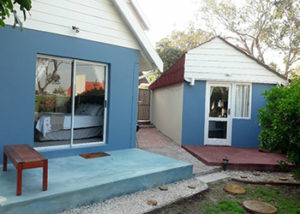 Guests can book the Bayview Flat or the Courtyard Cottage, both of which have a private terrace. Each of the units is furnished with a double bed, and has a private bathroom. Tea-and-coffee-making facilities, as well as Wi-Fi is available. Braai facilities are available for use. The Bayview Flat also has a kitchen that is equipped with a stove and oven, a microwave, a fridge, as well as tea-and-coffee-making facilities, and meals can be enjoyed at the 2-seater table. Smoking is not allowed in the units and a daily cleaning service is available. An ironing service is available on request at an additional cost. Secure parking is provided behind a remote-controlled gate. Unfortunately, pets are not allowed. Kirknewton is just 1.5 km from the Port Elizabeth Golf Club, 3 km from the Greenacres Shopping Centre and Netcare Greenacres Hospital, and 7 km from the Port Elizabeth International Airport. 39 On Nile Guest House, offering well-equipped, comfortable units, is centrally located in Port Elizabeth, within walking distance to Greenacres Shopping Centre. 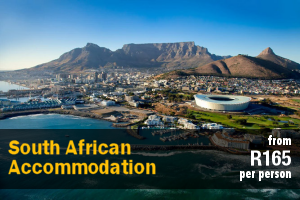 With warm, clean waters, endless miles of white, sandy beaches, as well as numerous attractions, Port Elizabeth one of South Africa’s premier holiday destinations as well as a major industrial centre. Accommodation is offered in 3 rooms and a garden cottage, each with an en-suite bathroom. 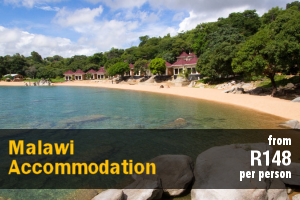 The rooms can only accommodate 2 guests each while the cottage can accommodate up to 4 guests. In-room amenities include a TV with selected DStv channels, bar fridge, and microwave. 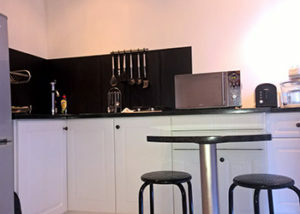 Room 3 and 4 have a kitchenette which is ideal for a self-catering stay. A daily cleaning service is provided. Guests are welcome to relax in the garden and enjoy the swimming pool. The main house is equipped with an indoor fireplace, perfect for those cold winter nights. Guests also have access to secure, off-street parking behind a locked gate, accessed by remote control. 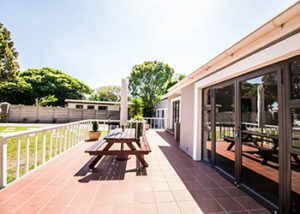 39 On Nile Guest House is situated within close proximity to Greenacres hospital, Newton Park swimming pool and Virgin Active gym as well as the Greyhound, Intercape, and Translux bus stations. The Nelson Mandela Bay Stadium, as well as Collegiate and Grey high schools, are located less than 3 km away and Port Elizabeth International Airport is located less than 9 km away. There are a number of activities and attractions for visitors to enjoy such as Donkin Reserve, Port Elizabeth beaches, and the Boardwalk Hotel and Casino.